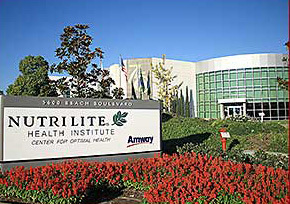 Trout Lake Farm was purchased in 1998 by Amway/Nutrilite, in order to become a primary supplier of raw botanical materials to the Nutrilite line of supplements. With this collaboration came resources and expertise that has enhanced both companies. Prior to 1934, there were no known multivitamin/multimineral supplements marketed in North America. People found it difficult to know if they were getting enough nutrients in their daily diets. 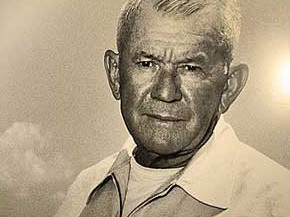 Then, Carl Rehnborg, founder of NUTRILITE® products, created his first nutrition product and became a pioneer in the history of nutrition. 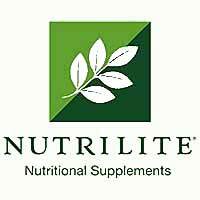 Since 1934, when the first Nutrilite product was introduced, the company has become a leader in nutrition research, development, and innovation. Today, under the leadership of Carl’s son, Dr. Sam Rehnborg, the next generation of scientists, researchers, and technicians is preserving the rich Nutrilite heritage by continuing to produce high quality, innovative supplements. Unique Nutrilite Processing Techniques – Nutrilite plants are dehydrated and processed within hours of harvest, using special methods and state-of-the-art equipment to capture nature’s valuable nutrients. Measurable Nutrilite Quality – Good Manufacturing Practices and a team of quality-assurance experts ensure high quality standards for the Nutrilite brand—so that the supplements produced each month meet precise specifications for quality, potency, size, weight, and hardness. Leading-edge nutrition science – The search for new concentrates and better formulations remains a constant quest for scientists and researchers of the Nutrilite brand. Their innovative work remains the driving force that keeps Nutrilite products at the forefront of the nutrition industry. “Just-in-time” freshness – Instead of storing our products for months in warehouses, they are carefully packaged and shipped soon after production, to maintain freshness. No other supplements are grown, harvested, processed, and shipped in this way. Rancho El Petacal, located in southwestern Mexico, has the ideal growing climate with plenty of sunshine and rainfall—the perfect conditions for growing nutrient-rich plants for existing Nutrilite products, and for growing test plots for research. All 566 hectares (1,400 acres) are certified 100% organic. The farm is a major source of jobs for the small community of El Petacal. Primary crops: Alfalfa, Spinach, Broccoli, Kale, Parsley, Sage, Nopal Cactus, Oregano, Watercress Grapefruit and Mandarin. At Rancho El Petacal our commitment to sustainability goes beyond the edge of the fields. Reforestation programs have helped increase biodiversity and maintain the natural equilibrium of the area. The Nutrilite farm at Rancho El Petacal runs a Cultural and Education Support Center at the farm. The Center provides basic education on nutrition and ecology as well as help with local projects, such as building a new church in the community. Fazenda Amway Nutrilite do Brasil is the largest Nutrilite farm. The farm produces acerola cherries year-round. All 1,660 hectares (4,100 acres) are certified 100% organic. Acerola cherries provide 100% of our need for the natural ascorbic acid (Vitamin C) used in NUTRILITE® products. Primary crops: Watercress, Acerola, Picão Preto, and Passionfruit. Most plant pest and disease problems are solved preventively by providing balanced organic nutrients to ensure strong, healthy growth. Community Outreach: Fazenda Amway Nutrilite do Brasil was formerly a desolate, undeveloped tract of land. It is now a beacon of productive work, learning, and professional and personal development. The school on-site supported by the Fazenda has won many awards, including highest standardized test scores in the state, and its students have won many awards- including first price in a national art competition wherein President Lula personally awarded the student their prize!